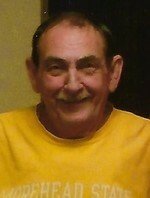 Jack Noe Obituary - Beattyville, Kentucky | Newnam Funeral Home, Inc.
Jack Noe, son of the late Ernest and Annie Angel Noe was born in Beattyville, Kentucky on May 3, 1947 and departed this life in Lexington, Kentucky on January 25, 2019 at the age of 71 years, 8 months, and 22 days. Jack is survived by one son, Greg Noe and wife Jeri of Winchester, Kentucky; four brothers, Charles Noe, Drexell Noe and wife Teresa, Arthur Noe and wife Sally, and Roger Noe all of Beattyville; two brothers-in-law, Ron Cornett of Beattyville and Will Alderson of Cincinnati, Ohio; one sister-in-law, Mary Noe of Beattyville; and a host of other relatives and friends. He is preceded in death by his parents; four sisters, Lucy Gay, Brenda Cornett, Lady Alderson, and Curly Kilburn; two brothers, Willard and Robert Noe; three sisters-in-law, Claudine Noe, Betty Noe, and Jenny Noe; and two brothers-in-law, Bruce Gay and Donnie Kilburn.